Whenever a popular game gets adapted into an anime series, the presumption is that the anime is intended for folks who can't be bothered to play the game. That's been less the case in recent years with adaptations that cater directly to existing game fans (like the Persona 4 Golden anime), or adaptations that act as supplemental material, with things to offer to fans new and old (like Persona 5 or the Ace Attorney series). 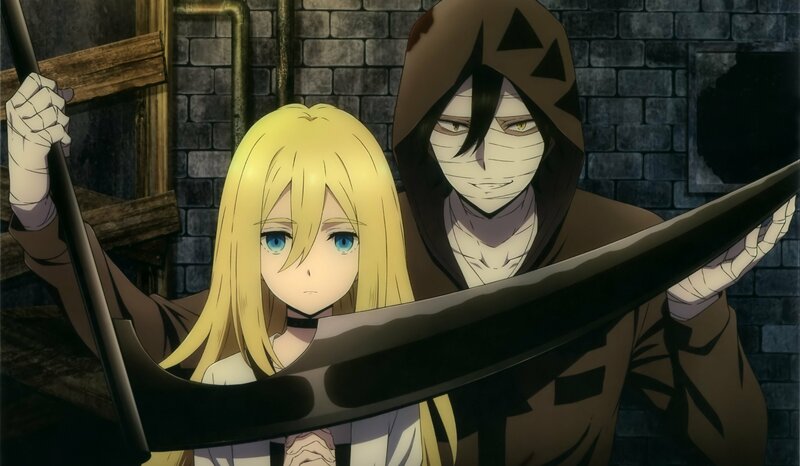 Looks like Playism and Crunchyroll are banking on the latter approach with the debut of Angels of Death's anime adaptation on none other than Steam, where the original Angels of Death game has been available since 2016. Both game and anime are available in a low-priced bundle to customers in some regions (if you click the link and see the product page, you're in the right region), and the sale lasts until December 4. For the uninitiated, Angels of Death is a horror adventure originally created by lone creator Makoto Sanada in RPG Maker. The freeware title grew in popularity and turned into a franchise, with manga and the aforementioned anime adaptation. It's about Rachel "Ray" Gardner, an amnesiac girl who wakes up in a weird building crawling with serial killers. There she meets a bandaged man with a scythe named Jack, and the two strike a partnership, with Rachel helping Jack escape the facility, and Jack offering to kill her in exchange. I'll readily admit I haven't seen the show or played the game, but if the bundle were available in my region I might be persuaded to check it out.